Childhood Obesity: How do we have an impact? So, last week’s blog was about the whys behind the increase in childhood obesity: why it has gained such a firm hold in our society, and why we need to care. This week is about how we can promote change, going into the future. What works? What is the plan? Our objective is clear: we want healthy children. To achieve this when our children are overweight, we need to decrease the calories they take in, and increase their activity: get rid of junk foods and get them moving. If children take in more calories than they work off, the excess is stored as fat. Math works. We also need to get our children to eat only nutritious foods, except on special occasions. If kids eat junk, which does not have in it the nutrients they need, they have to overeat total calories to get those nutrients. Bad idea. So how do we make this happen? We start by using the power of positive reinforcement. It is a proven fact that rewards work better than punishments to change people’s behavior. It is human nature to repeat actions that make us feel happy and appreciated. Hence the popularity of slobbery dogs. Even better: how long would you go to work if you did not get a paycheck? Do you find that you do better work when you feel appreciated? If we are going to change habits, we need to focus on the positive and let go of the negative. We need to make eating healthful foods and being active more rewarding than stopping for fast food and eating chips. This is not hard, because there are a multitude of easy rewards appropriate for eating your broccoli: from smiles and hugs to feeling good and saving money. How could a toy in a kid’s meal possibly compare? Never try to place blame: it evades personal responsibility and it solves nothing. Similarly, not only is it unkind to judge and condemn people for being overweight, it is also ineffective as a means for change: it doesn’t work. Stop doing it, and intervene when someone else does it. Do set up the playing field in your favor. Only buy healthful foods. It is much harder to eat a doughnut when you get home from school if no one bought doughnuts. It is difficult to buy a soda at school if there is no vending machine. It is immeasurably easier to win a battle that is never engaged. Consistency and routine are your best weapons to take into the fray. If you sometimes stop for fast food on the way home from school, simply getting into the car can elicit demands. The trigger is already in place to remind your children of their habit. Alternatively, if you never stop for fast food on the way home, why would it even come up in the conversation? If the routine is “never”, the response to a request for a snack cake is a head shake and a laugh; if the routine is “sometimes”, the response to a no is whining, each and every time. Children’s minds settle comfortably into routine and habit, so a habit of only eating healthful food will save you a lifetime of arguments. Rethink what and how you feed your children at the most basic level, to redesign those routines. Start with awareness of what your children need every day, then plan meals that will get them there. Don’t buy the foods that do not have the nutrients they need. Get rid of preconceptions based on family history, media, and friends (contrary to popular belief, there is no daily requirement for potato chips, and “only one soda a day” is one too many). Evaluate your family home and everyday habits. When and where are we keeping food and eating it? What needs to change? Does your child walk by a pantry filled with snack cakes and chips as he gets home from school? What might happen if we throw those out and place a bowl of fruit in his path? What if the only cold drinks in the refrigerator were water and low fat milk? What if we required our family to gather at the dinner table and converse? Change the routines, because when we change a habit the effect of that small change is magnified by the multitude of days in which that habit would have persisted. On the other side of the equation is the burning off of those calories. The target for children’s activity is a minimum of 45 – 60 minutes of vigorous exercise as many days as possible. This needs to include all kids, not just athletes, because the purpose is to get fit, not to win fame. By no means should this be their only activity: as a general rule, if they are awake and not tied to a desk or reading, they should me moving. The first step to getting them moving is to limit non-educational screen time to maximum of 2 hours per day. Bore them into activity. They can choose the type, as long as they are moving. The second step is to get up and do it with them. First, purge the pantry of all junk food (no “We paid good money for that food!”) Throw it away. Make a meal plan of nutritious foods for the week, considering your schedule, and write out a grocery list. Only buy what is on the list. Read labels (watch total calories, not just fat or sugar). Emphasize fresh, seasonal foods. Aim for fully half of what your family eats to be fruits and vegetables. Make less food, and serve smaller portions. 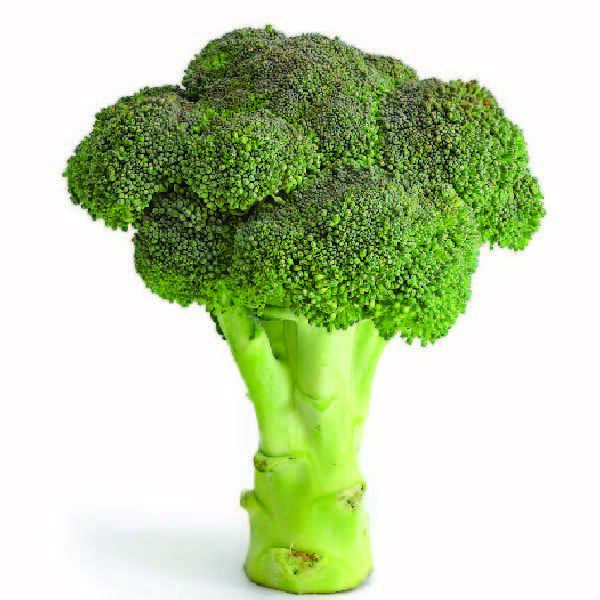 Hungry children can have seconds and thirds on the broccoli, not the potatoes, because you didn’t make more potatoes. Teach your kids to eat slowly, putting their fork down between bites to enjoy conversation with the rest of the family. Let their brains catch up with their stomachs. Eat more high fiber foods (they are more filling), less meat and starch. Eat at home, as a family. Restaurant portion sizes are too large, and they use too much salt, fat, and sugar. Teach your children to eat when they are hungry rather than for reward, comfort, or boredom; also to stop eating when they are no longer hungry. Be a good example. Make it a rule that treats are only for special occasions. Do not expect a quick fix; results come over the long term. Last, realize that kids have one big advantage: if they just keep their weight the same, they can grow into it. Don’t make weight loss the goal. The goal is a long-term habit of eating a nutritious diet. Ignore the peanut gallery, because you have to persevere: their lives depend upon it. It is the responsibility of the parent, caregiver, coach, and school to offer the children in their care nutritious foods and to be a good example. Do not feel guilty because they are temporarily unhappy! You love them; therefor you will not give them foods that cause all those awful health problems. You will do this for ever and ever, because when the grown-ups are consistent, the kids give up. Recruit your friends and family, because “it takes a village” (sorry, couldn’t resist). This might in the end mean avoiding people – family and friends – who undermine your efforts. Grandma can see her baby when she learns to behave. Community support is absolutely necessary if we want to turn this around. Schools must consider what food is available for breakfasts, lunches, and in vending machines. The adults in children’s lives need to be good examples: from parents to teachers to Hollywood actors and sports figures. Education needs to be readily available for both children and their grown-ups. Adult education resources are needed for parents, childcare workers and community leaders to learn about nutrition, the basics of meal planning, grocery shopping, and cooking. If we can change the community of thought about food and exercise, kids will not be alone in developing new healthy habits. Their parents will also become more fit, as they role model healthy behavior. Our society’s medical costs will shrink, along with a mountain of heartbreak, family stress and financial woes. When people have knowledge about nutrition and are in the habit of eating healthy food when they are actually hungry, they will pass this knowledge and these habits down to their children, and their children’s children, and healthy habits will persist. They can change the future of their family. We can do this, and it is absolutely worth doing. So. My goal for this blog was to be both accurate and comprehensive; the result was that it was very long. We need to have a thorough understanding of both the why’s and the how to’s if we want to make a difference in childhood obesity. This week covers just the first half, so you won’t nod off before the end. Today is all about the what and why; next week is about how we fix the problem. Obesity is defined as weight more than 20% above a person’s ideal weight for their height. Morbid obesity is weight in enough excess that it affects a person’s health, or “causes morbidity.” In 2010, more than 1 in 3 children were overweight or obese. At a time in their lives when children should be running free and unencumbered, they are instead carrying the baggage of a society that has lost its way. Although issues like hypothyroidism and low levels of Leptin (a hormone that makes us feel full) can cause weight gain, medical causes account for less than 1% of the overweight kids. Obesity has more than doubled in children and tripled in adolescents in the past 30 years. Rather than 5 or 7% of children being morbidly obese, as they were in the 80’s, now 18% are. Three quarters of these obese teens will become obese adults. There are also serious mental health risks, including low self-esteem, body image issues by as young as 5 years, anxiety, and depression. Overweight children are frequently the victims of exclusionism, taunts, and ridicule. Bullying overweight people is one of the last socially acceptable forms of bigotry. Last, there are lifestyle limitations. For overweight children activity is harder, and the vicious cycle of a sedentary lifestyle causing weight gain, which causes a lower activity level, which causes weight gain, persists. Fueling this also is the fact that obese children will be offered fewer opportunities: they are rarely the first picked for the team, or the cool new job. Even their dating choices will be affected, partly by their appearance, but more by the damage to their self-esteem. There are also financial stresses, from the expense of processed foods, to increased medical costs, to fewer chances in the workplace. So why do we do nothing about it? First, we simply don’t see it. When our whole family, neighborhood, region, or country is overweight, after a while it becomes what we see as normal. Add on that our child has always been this shape. When shown silhouettes of children and asked which is most similar to their own child, parents of overweight children will pick out a thinner silhouette as theirs. The extra pounds become as invisible as the individual trees in the forest. We don’t know what to do to fix it and, as adults, we are embarrassed to admit our ignorance. Add to this that people fear change. Grown-ups like to feel capable and comfortable in their lives. People generally take what they learned in childhood as true, and continue unquestioningly down that reassuring and undemanding path. It can take an unexpected event, like a child being diagnosed with diabetes, to shake them up and make them think about their choices. Even then, parents need to be able to find the resources to learn, and there are few easily accessible ways for an adult with only a few spare minutes to learn about nutrition, grocery shopping, cooking, and exercise. So we flounder, and persist in our habits. If we do decide to change, it can be just too hard. Learning about nutrition, grocery shopping, cooking and exercise, in addition to working at our jobs and taking care of our families, is difficult to fit into the schedule. Then we have to actually do the grocery shopping, cooking and exercising. Add on fighting with children, and possibly a spouse, used to eating whatever they want and zoning out in front of a screen (TV or computer) whenever they want. It is immeasurably easier to let them snack on junk and watch a screen, than to make them eat vegetables and exercise. Moreover, people believe that preparing nutritious food and getting their kids to be more active requires resources that they do not have. They truly believe fresh nutritious foods are expensive, when in actuality 4 servings of vegetables or 3 servings of fruit can be had for about a dollar. They believe their kids won’t eat healthy foods, and the groceries they spent their hard earned money on will rot. They have seen it happen before. When kids have both healthy food and junk options, flavor saturated junk wins, and healthy foods go bad. Similarly, parents believe that if they want their kids to exercise, they have to pay for expensive exercise programs and organized sports. In reality, play is free. People see their behavior as acceptable, because everyone they know eats and behaves in the same way. Even the advertisements they see, and the TV and movies they watch, inevitably show people eating fast food and junk. Last, the reason we hide even from ourselves: parents are unwilling to have change interfere with their own lives. They don’t want to spend what little free time they have preparing food and exercising with their children. They are comfortable with their routines. It is easier to let the screen entertain the kids, and they have no real interest in getting up and playing with their progeny. They are equally unwilling to do without the foods they like, even though they know they should do better. Since no one wants to cop to this, they instead pile the weight of conviction onto all the other, less guilt inducing, reasons. If we want to improve our children’s health, these are the obstacles and the challenges. Human nature is an unalterable certainty. Ignoring it while trying to force change will get us nowhere. Next week’s blog will be about how to work within the confines of human nature to change the choices parents make, and help our children live healthier lives.